Happy New Year to the Healthy Wealthy and Smart family! 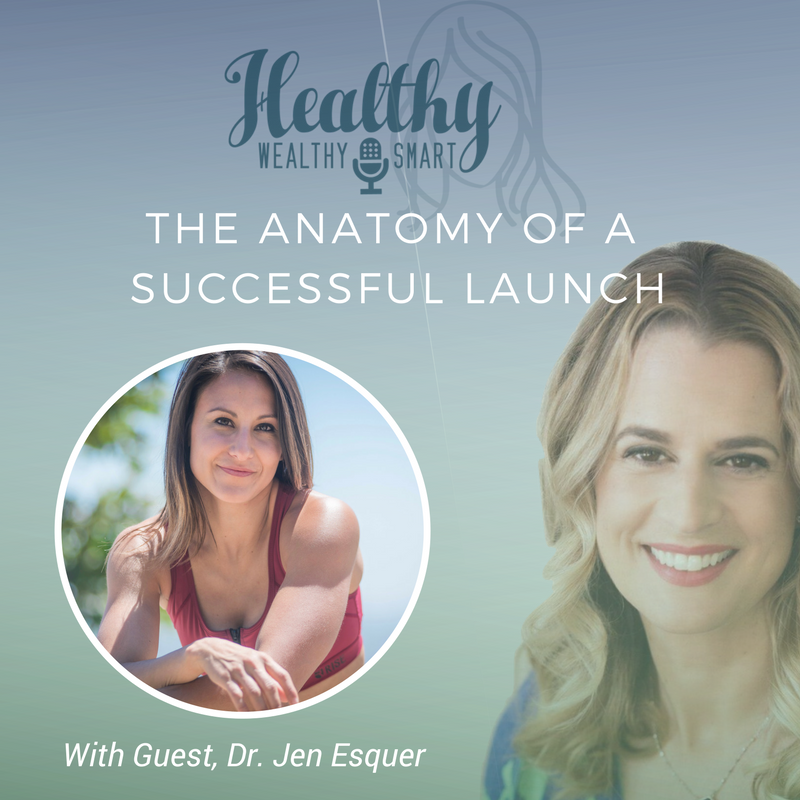 To start off the year, I am joined by Dr. Jen Esquer to discuss social media management and product launches. Jen is a private sports physical therapist who creates programs, hosts workshops, and treats one on one for a more direct and precise experience. Her mission is to heal the world and the best way she can do that is through empowering you to learn how to heal yourself! The best way I like to explain myself, is that I am a MOVER! I have been active since I was a young child, falling in love at an early age with gymnastics and competing for 9 years. After quitting at age 16, I competed in track and field (pole vault and triple jump) and danced. Though I sustained minor injuries, including a thumb fracture, sprained ankles, and pulled muscles, I never once went to a physical therapist. Yet, I loved anything having to do with anatomy, physiology, and without knowing for sure whether physical therapy would be my path, I decided to study Kinesiology at California State University, Fullerton. While I coached gymnastics for 3 years, I found myself constantly asking, “Why am I taping an ankle? What is truly the issue and how can I help further?” I was seeking more! I was fortunate enough to meet someone teaching a Pilates Bootcamp and quickly fell in love with the specificity of body movement. I started instructing pilates classes, both on the reformer and mat for 6 years throughout undergrad and graduate school. Not only did I appreciate how much pilates reminded me of gymnastics conditioning, but I loved the focus on intricate muscle activation, isometric holds, strict form, and body awareness through core activation. After graduating with my M.S. in Kinesiology, I was accepted into Loma Linda University where I received my Doctor of Physical Therapy degree. I quickly accepted a job at VERT Sports Therapy and Rehabilitation in beautiful Santa Monica, CA. Since working, I have met amazing individuals who have aided in the expansion of my knowledge of the body. I have studied Myodetox directly under co-founder, Vinh Pham (@vinnierehab), taken a RockTape course with @themovementmastro herself, and learned from many others professionals in the rehab game. I am now stepping into the next chapter of my career as a private sports therapist, creating programs, hosting workshops, and treating one on one for a more direct and precise experience. My mission is to heal the world and the best way I can do that, is through empowering you to learn how to heal yourself! Becoming educated on what is going on with your body is the most powerful piece of knowledge for establishing health and longevity for a pain-free and active lifestyle!